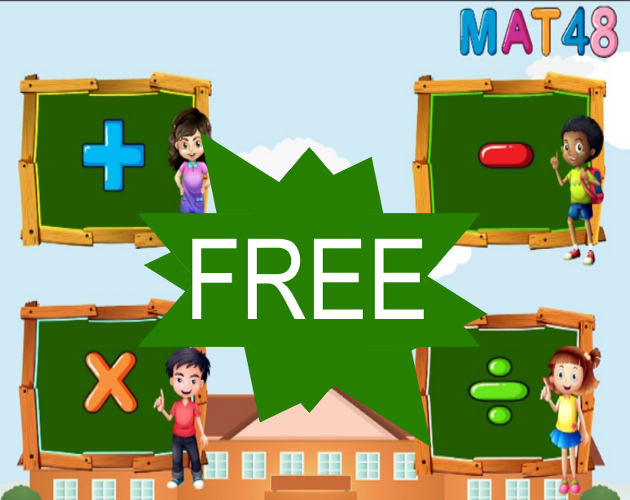 Fun math game for kids ages 4-8. Learn the four basic operations while playing. The game asks for the result of the operation and repeats the correct one thus reinforcing learning. It's included a shape recognition game will help your kid familiarize with the basic geometric shapes 2D and 3D (20 different shapes). It's FREE but it has ADS. Hi, you seem to have double-posted. I archived the other thread, let me know if there was a difference between the two.